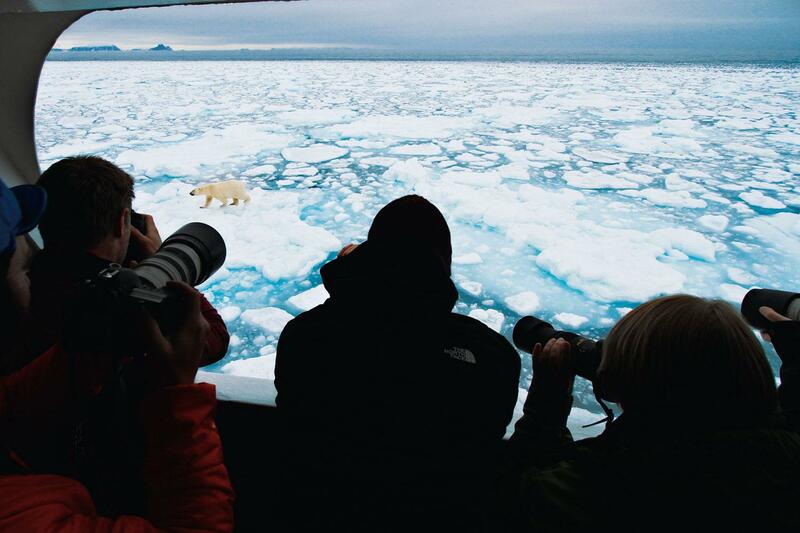 On the bow as we approach a polar bear! 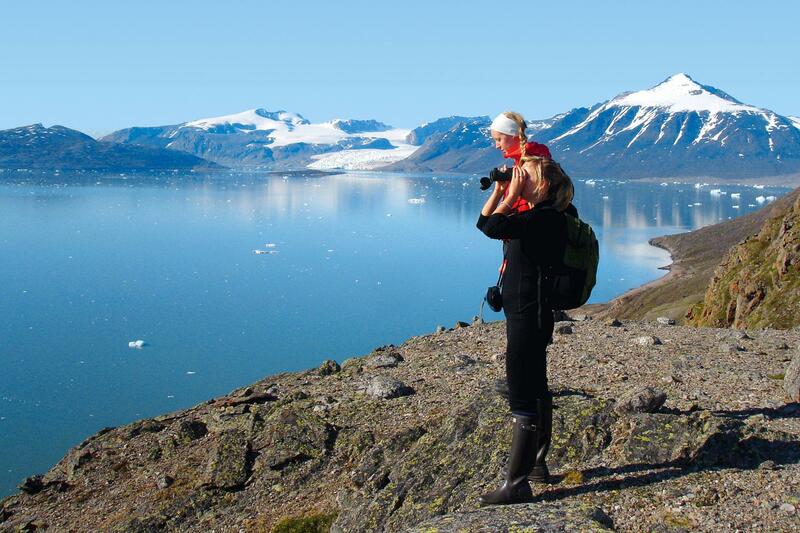 Explore seldom-visited parts of eastern Svalbard such as White Island. Knowledgeable and enthusiastic guides are the key to a successful expedition. 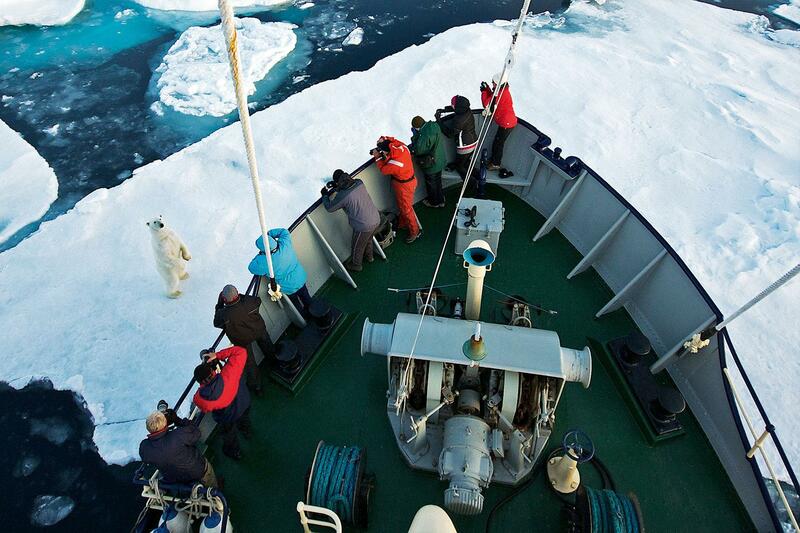 On these expeditions you will meet guides with long experience of the Polar Regions and a genuine love of the Arctic. 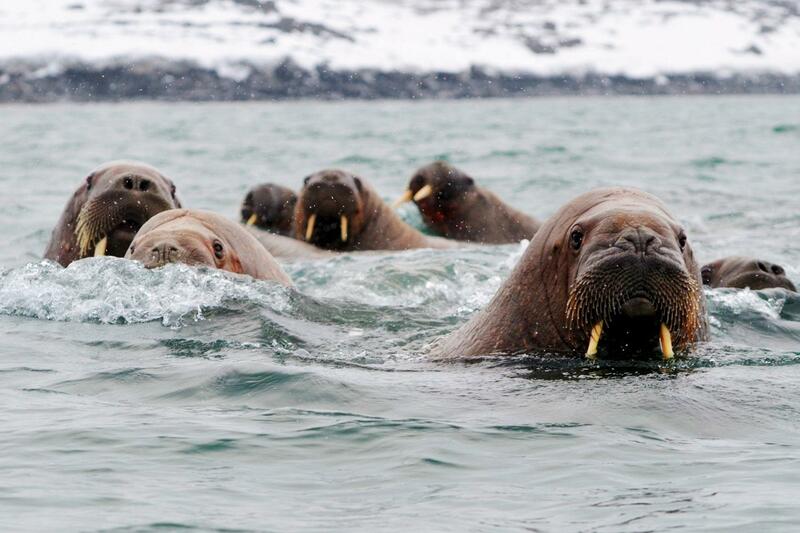 Several of them have been commuting between the Arctic and the Antarctic for many years. All guides are highly qualified guides when it comes to safety. There are two guides on board the M/S Stockholm. Few passengers per guide increase the flexibility on board as well as enable a smooth Zodiac operation. The guides also entertain and educate you with interesting talks in between landings, where you learn more about the flora, fauna and history of Svalbard. To travel on board M/S Stockholm is a truly unique experience. The atmosphere of this legendary small ship and her enthusiastic crew make this trip extraordinary. To change course and explore new areas in true expedition style, are not unusual events. Day 1: Longyearbyen We arrive in Longyearbyen, embark our expedition ship in the afternoon and sail out through the spectacular Ice Fjord. Day 2 - 10: Svalbard We are now in a part of the world where we are totally dependent on ice and weather conditions. Our exact itinerary depends on these factors and on the wildlife we encounter. The goal is to make daily landings with our Zodiac crafts. 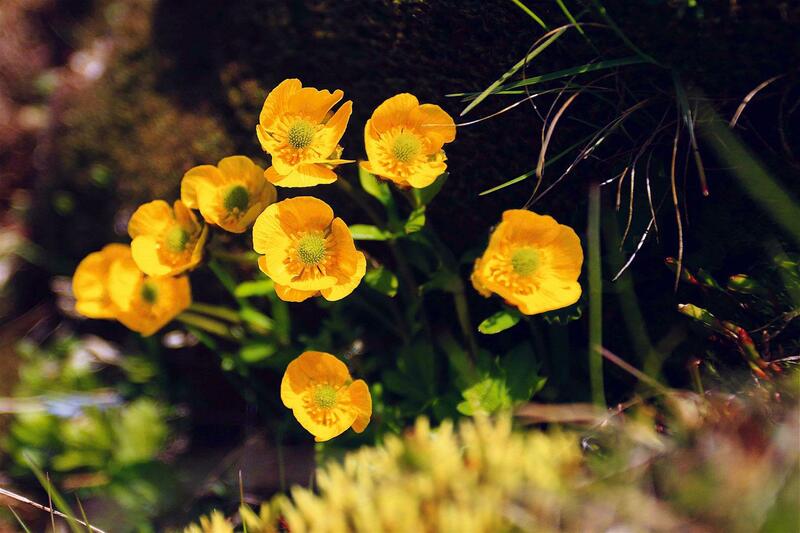 Here are some examples of places we may visit: Northwest Svalbard In the scientific village of Ny Ålesund, Arctic terns nest along the main street. It was from here that Amundsen and Nobile started their heroic expeditions to the North Pole. On the islands of Danskøya, Amsterdamøya and Ytre Norskøya we find remnants from the bustling activity during the 17th century’s whaling period. Two of the most courageous attempts to reach the North Pole started on Danskøya. Swedish balloonist Andrée made an attempt with a hydrogen balloon and American journalist Wellman started out with an airship. There are still interesting remnants from these expeditions left on this site. Magnificent fjords Svalbard offers countless spectacular fjords. During our journey we will explore a few of them such as: Liefdefjorden, meaning “the fjord of love”, is lined with snow-covered mountain peaks and at its base we hope to cruise along the face of the spectacular Monaco Glacier. Many common eiders and pink-footed geese nest in the area and if lucky we can see the rare king eider. In Krossfjorden we revel in the beautifully sculptured front of the 14th of July Glacier to the raucous greeting of the large numbers of kittiwakes and Brünnich’s guillemots nesting on the nearby cliffs. Raudfjorden is an area of immense natural beauty – dominated by beautiful glaciers. It is also a favourite spot for seals. Hinlopen and Alkefjellet If the ice allows we may enter Hinlopen Strait. Here is Alkefjellet, a sheer, basaltic cliff, which is the home to an estimated 200 000 Brünnich’s guillemots. We may also continue into the beautiful bay of Palanderbukta on Nordaustlandet. Eastern Svalbard The island of Nordaustlandet is covered by an enormous ice cap and fascinates naturalists as well as historians. There are huge glacier fronts here, intersected by hundreds of waterfalls. Even further east is Kvitøya (White Island). In very favourable ice and weather conditions, we may land on this ice-capped island where few people have set foot. Here Andrée and his men were found 33 years after their unsuccessful attempt to reach the North Pole with a hydrogen balloon. Barentsøya and Edgeøya offer magnificent landscapes and vast tundra. 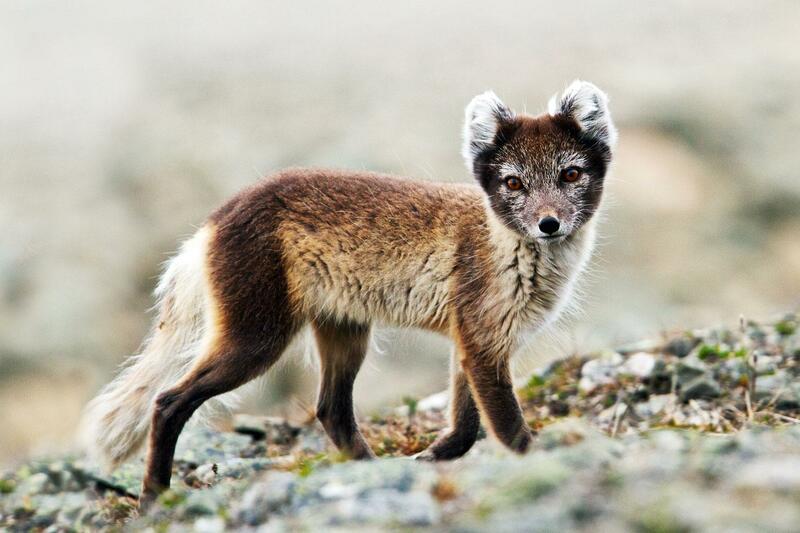 Chances to encounter walrus, Arctic fox and Svalbard reindeer are good here. Kvitøya Far East of Nordaustlandet is Kvitøya (White Island). In very favourable ice and weather conditions, we may land on this ice-capped island where few people have set foot. Andrée and his men were found here 33 years after their attempt to reach the North Pole. Southwest Svalbard The grand fjords of Hornsund offer spectacular glaciers and a breathtaking landscape of towering mountain peaks. 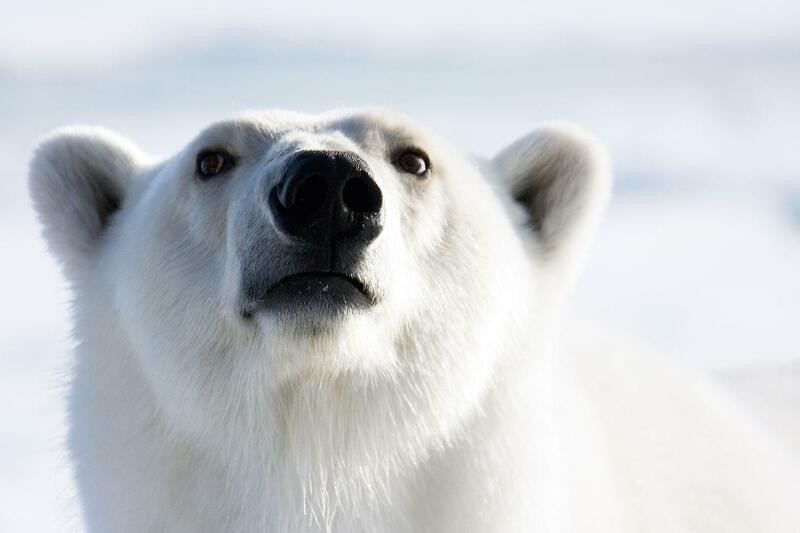 This is a favourite haunt for some of Svalbard’s polar bears. Day 11: Longyearbyen We arrive in the early morning, disembark and begin our journey back home. 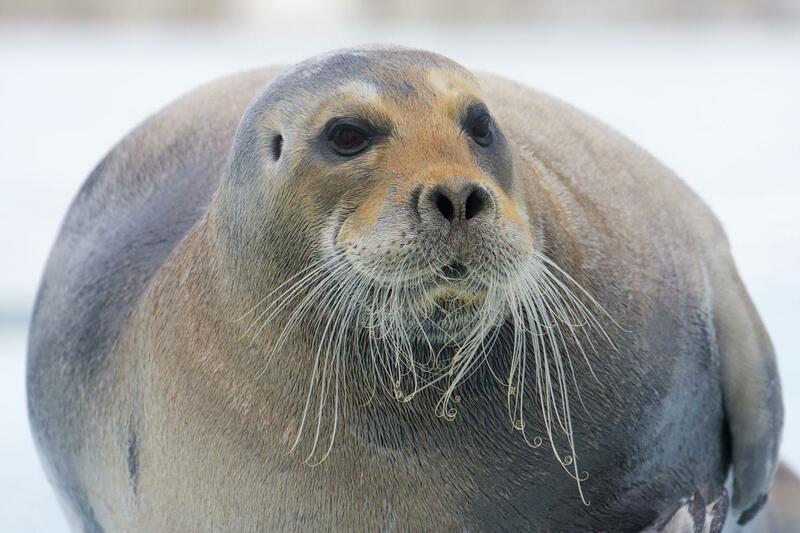 Please note: Our exact route will depend on ice, weather conditions and wildlife. 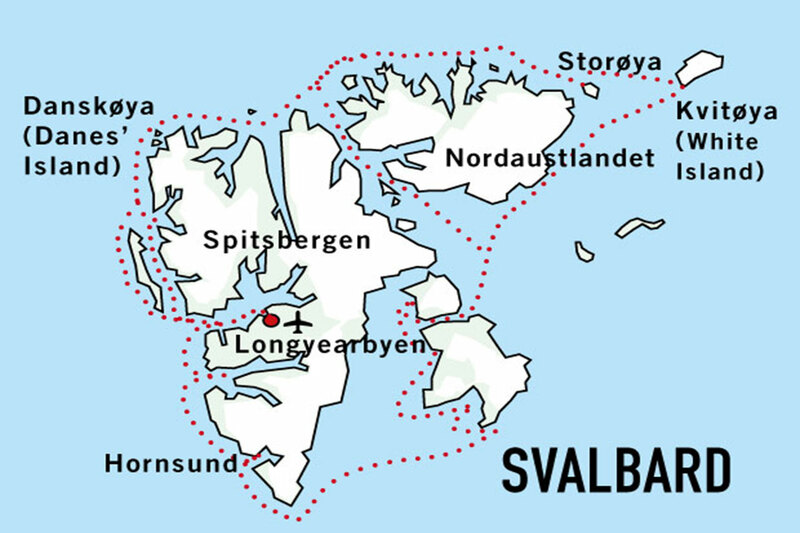 The places mentioned above are just examples of some of the many sites Svalbard has to offer. We always strive to maximise your experience, but remember that flexibility is the key to a successful expedition! The M/S Stockholm is a classic vessel built in 1953 for the Swedish National Maritime Administration and is a sister to the M/S Origo and M/S Malmö. 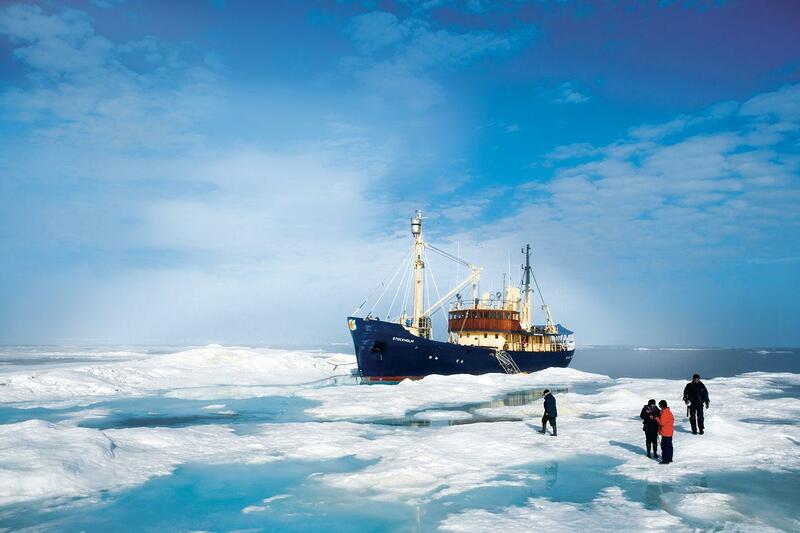 In 1999 she was refitted as a comfortable ice strengthened expedition vessel for 12 passengers. All the cabins are outside twins with upper and lower berths, and en-suite facilities. On board the ship you will enjoy the company of likeminded travelers who appreciate the natural world, and are fascinated by the remote regions. With such a small party on board, this is like travelling on a private yacht, and offers an entirely different experience to that of a larger cruise vessel. Deposits - Reservations require a deposit of 25% at the time you receive a booking confirmation from Expeditions Online. A payment link will be sent to you and this may be paid by major credit card alternatively bank transfer. Bookings within 60 days of departure require full payment. Final Payments - Balances are due 60 days prior to departure. Final payment can be made by calling us (final payment cannot be made online) and may be paid by major credit card (however subject to a 2% surcharge) or bank transfer. Cancellations - All requests for cancellation must be received in writing to Expeditions Online. Cancellation received more than 60 days prior to departure: there will be a full refund of the program cost less 10%. Cancellation received between 60 days prior to departure and departure date: there will be no refund whatsoever. We strongly recommend that you obtain adequate trip cancellation insurance. Booking Terms - Please read carefully the General Booking Conditions for Expeditions Online. This voyage is operated by Polar Quest Expeditions and you additionally travel under their terms and conditions as the operator as well as of the Shipping Company/transport carrier. Details will be forwarded to you at the time of booking.